Harmony Day, a celebration of Australian multiculturalism. Harmony Day is about inclusiveness, respect and belonging for all Australians, regardless of cultural or linguistic background, united by a set of core values. The day coincides with the United Nations International Day for the Elimination of Racial Discrimination and the continuing message of Harmony Day is #everyonebelongs. 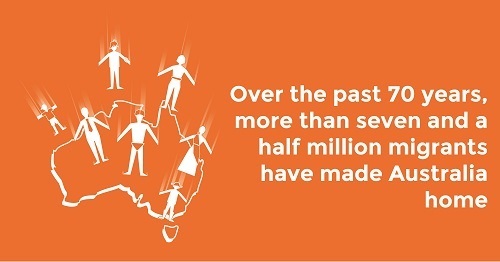 Since 1999, more than 70,000 Harmony Day events have been held in schools, community groups, businesses and federal, state and local government agencies across Australia. Here in Australia, we recognise Harmony Day as one of our key diversity and inclusion calendar dates. So get involved - it's for you. The Harmony Day Festival - Event Postponed. 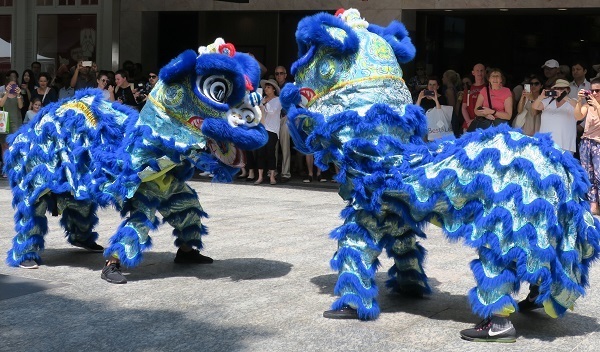 The Harmony Day Festival aims to connect multicultural and mainstream communities and organisations, to enhance intercultural understanding and solidarity in order to build a harmonious society. 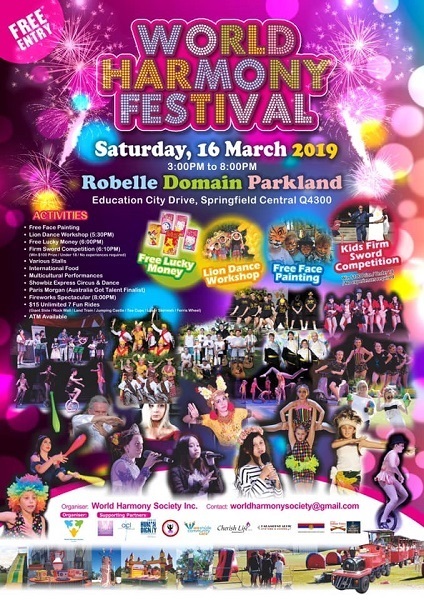 World Harmony Day 2019 is on 16 March, but the big festival is on Saturday 16 March. It is all about celebrating diversity while stressing that we all belong. So check out the Harmony Day Festival on March 16, kicking off at 3:00pm to 8:00pm with free entry for the whole family. It is being held at Robelle Domain Parkland, at the end of Education City Drive, Springfield Central. 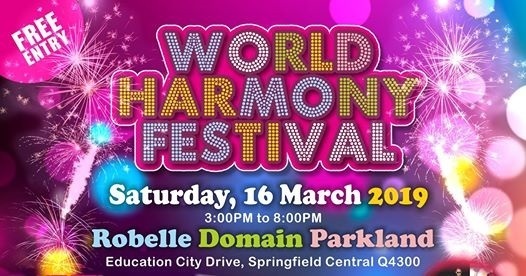 The festival is the brainchild of the World Harmony Society. Of course, there will be lots of Food Stalls, including International Food Trucks (delish). 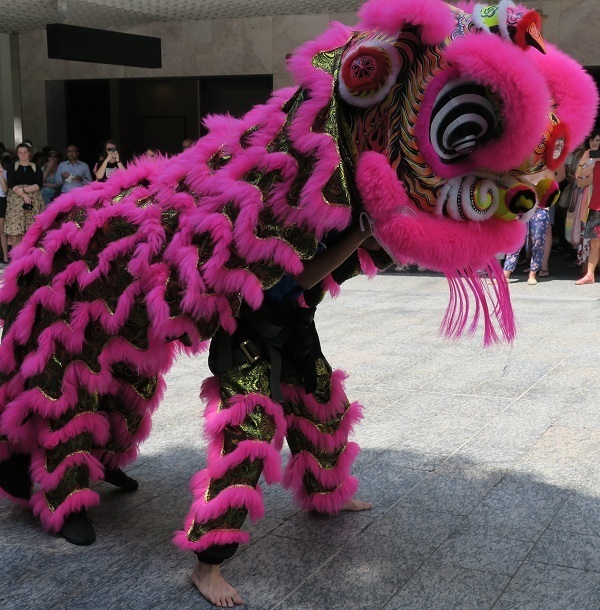 My pick of the festival is the Lion Dance Workshop at 5.30 pm. You and the kids can learn some dance tricks from the fine athletic and acrobatic performers. catch the Kids' Firm Sword competition at 6.10 pm. For the kids, there are also Unlimited Fun Rides for only $15. Get your free lucky money at 6.30 pm. The grand finale will be the Fireworks Spectacular at 8:00PM. Don't miss it. Paris Morgan, Talented Young Vocalist and Australia's Got Talent finalist. There will be an ATM available. Thursday 21 March at 10:30 am to 12:00 noon. Australia is one of the most successful multicultural countries in the world and we should celebrate this and work to maintain it. Harmony Week is about inclusiveness, respect and belonging for all Australians, regardless of cultural or linguistic background, united by a set of core Australian values. 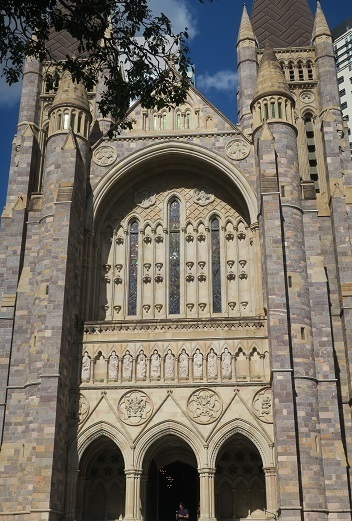 This service is a celebration of these values and the harmony they produce. For further details, click here. 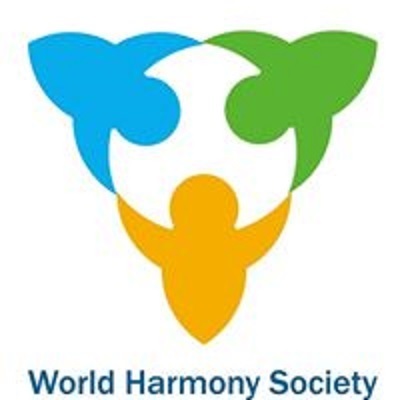 The World Harmony Society is "creating a harmonious and sustainable world by promoting inter-cultural understanding, human rights, fine traditions, fine arts, social justice, solidarity, morality, mutual helps, volunteerism, sports, sustainability and general welfare". For further details on Harmony Day, check out FB festival page or the government's Harmony website to find other events near you.